February 11 2008 marks the one year anniversary of the autonomous grassroots campaign for International Days of Truth Action on the Eleventh Day of Every Month until Justice. Over the past year we have seen these days of united action spread from three locations in the US - San Francisco, New York City and Louisville - to scores of locations in countries around the world. As more and more cities and towns joined us - Sydney, Calgary, Berlin, London, Barcelona, Stockholm - we set in motion an international momentum for justice that will not be denied. 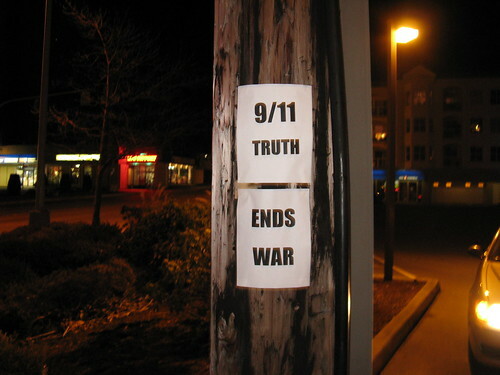 We have seen the powerful simplicity of the concept behind this campaign take root in the mind of the movement at large and spread action for 9/11 truth around the world. We have seen actions as diverse as the people from all walks of life who make up this movement for justice. In many locations we have seen new local groups spring to life due to the initiative of one or two brave activists deciding to join us in solidarity - willing to stand alone for truth and inspiring other to join them in action. What we have started can not be stopped. It can not be stopped by the silence nor the slander of a corporate media complicit in the coverup of the crime of the century. It can not be stopped by politicians too fearful to afford dignity to the demands of the family members. It can not be stopped by desperate disinformation or the misdirection of limited hangouts. And it will not be stopped by a business-as-usual regime rotation in the land of the less than free. We are set on a course for justice and we are not going away until we get it. It's not about taking action on only one day a month. It's about taking action every day in every way possible to create visibility and spread awareness and on the eleventh day taking action TOGETHER - around the world - knowing that we will keep coming back until we get where we're going. That's what action on every Eleventh says... we're not stopping until Justice. My deepest gratitude and respect for everyone who takes action for 9/11 truth. January 11 2008 is the 12th International Day of Truth Action on the Eleventh Day of Every Month until Justice. 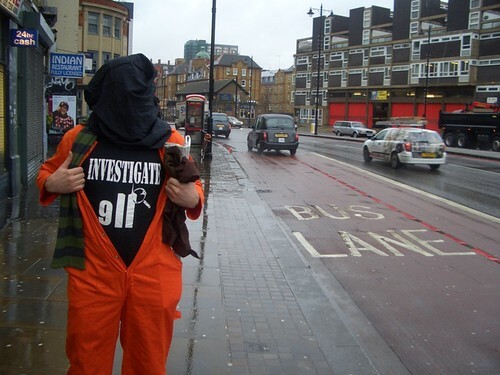 The day marks 76 months of 9/11 lies and is the 6th anniversary of the opening of the Guantanamo Bay prison camp. 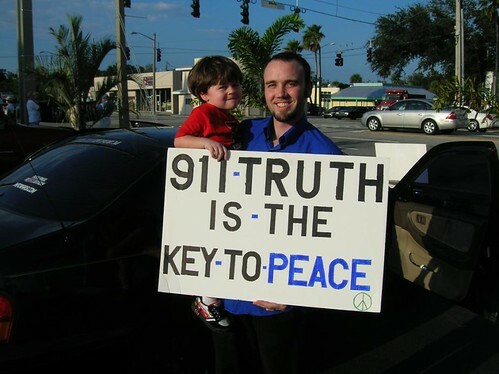 Wherever you are on January 11 - join us in united action for 9/11 truth. We're not stopping until justice. I can't wait to hit the streets with you all again! We have some seriously informed activists planning on showing up so this should be a great 11th of the Month. 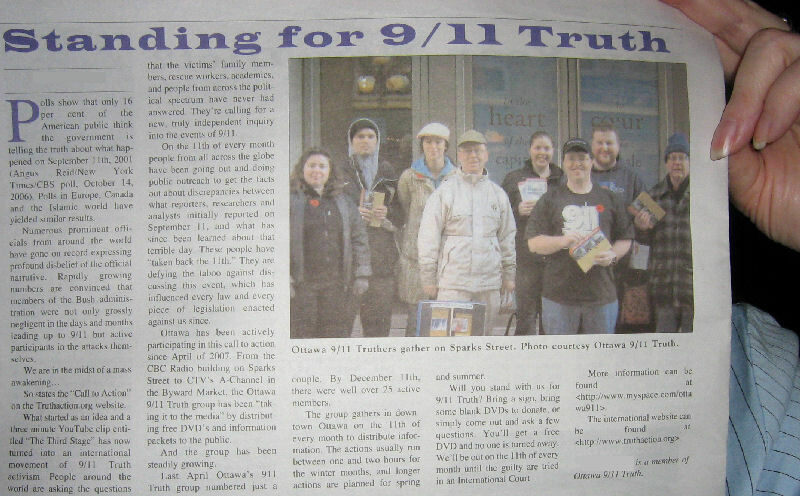 After the actions I have taken part in, and recent issues I have seen being discussed among 9/11 Truth activists, I felt the need to write out some advice to help us focus our efforts in 9/11 Truth Activism.